Editor's note: The following is an opinion piece. The writer is not employed by Military Times and the views expressed here do not necessarily represent those of Military Times or its editorial staff. For more on the airman in the main image above, who is not a contributor to the piece, click here. The military is scheduled to lift its enlistment ban on transgender applicants on July 1, but the Army and Marine Corps are expressing concerns about their ability to deploy to war zones, and seeking to continue banning transgender applicants from enlisting in the military for up to two years. After a year of successful service by openly transgender personnel, however, delay in ending the enlistment ban would reintroduce the need to lie as a condition of service, thus returning the military to the divisive "don't ask, don't tell" era. "Don't ask, don't tell" was a failed policy, but military leaders invoked discredited arguments about readiness to justify discrimination. While research from a wide range of sources, including the military itself, showed that inclusive policy for gays and lesbians would not compromise readiness, opponents continued to cite groundless readiness-related arguments to conceal the personal bias that lay at the foundation of their opposition. After the ban on open service was repealed, military scholars confirmed that it was discrimination, rather than inclusion, that compromised readiness by wasting badly needed talent, depriving troops of necessary support, and forcing service members to lie to one another. The repeal of "don't ask, don't tell" applied to gays, lesbians and bisexuals, but not to transgender individuals. Last summer, after a yearlong study period, the Defense Department decided to allow transgender personnel who were already serving to remain in uniform, but to postpone the lifting of the enlistment ban for one year. This meant that transgender personnel serving in uniform could be honest about their identity and could quality for medically necessary care, but that transgender individuals could not enlist in the military until July 1, 2017. No readiness-related reason for this enlistment delay was identified. Both the military and the Rand Corporation already had studied every aspect of transgender service and concluded that inclusive policy would not harm readiness, and that the few practical concerns that genuinely required answers had been addressed. The Rand report on the subject found that in the many foreign militaries that allow transgender personnel to serve, "in no case was there any evidence of an effect on the operational effectiveness, operational readiness, or cohesion of the force." The report also concluded that "the number of U.S. transgender service members who are likely to seek transition-related care is so small that a change in policy will likely have a marginal impact on health care costs and the readiness of the force." After a year of open service by transgender personnel, the Army and Marine Corps are now calling for additional delays, citing concerns about the deployability of transgender personnel. The reality is that these concerns have no merit. Rand found the deployability concern to be negligible, in part because it estimated that a mere 0.0015 percent of available deployable labor years of the force would be affected. As with service by gays and lesbians, service by transgender individuals has been studied in depth by the military itself, by Rand and by civilian scholars. 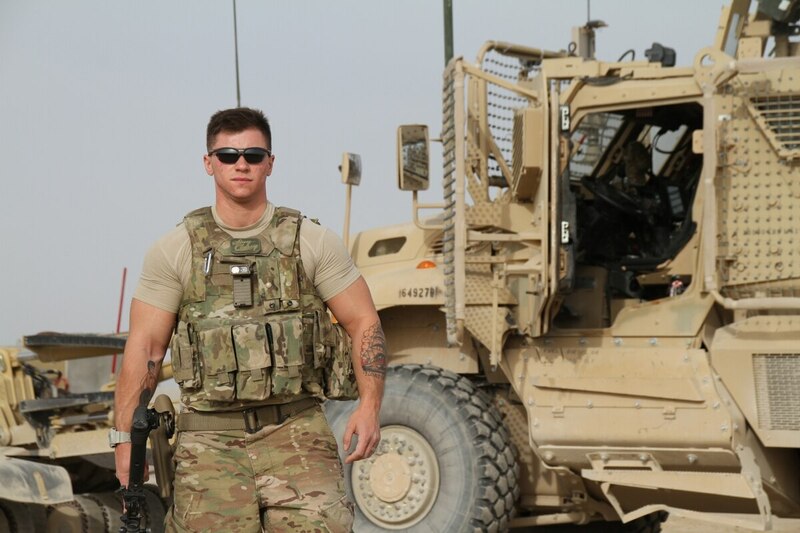 Transgender service members have been serving loyally for decades, and have been doing so openly for the past year, earning nothing but praise from their commanders and peers. Indeed, preliminary data from research during the past year of open service suggest that inclusion has promoted readiness. Retired Navy Rear Adm. Michael Smith and retired U.S. Public Health Service and Coast Guard Rear Adm. Alan M. Steinman. The U.S. military has developed all necessary policies and guidelines, and has already trained hundreds of enlistment examiners. Eighteen foreign militaries allow transgender personnel to serve, and none has reported any harm to readiness or deployability. The military does not need any more time or data to lift the transgender enlistment ban. When military leaders make decisions on the basis of evidence and rational deliberation, sound policy usually follows. But when the military makes decisions on the basis of discredited arguments that have no basis in fact, and that serve only to conceal emotion and politics, the military's mission is compromised to serve the narrow agenda of a few. It is time to implement the final component of inclusive policy, and to treat all LGBT personnel according to the same standards that apply to everyone else. Navy Rear Adm. Michael Smith (ret.) commanded a Carrier Strike Group and was President of the Board of Inspection and Survey. U.S Public Health Service and Coast Guard Rear Adm. Alan M. Steinman (ret.) served as his service's Director of Health and Safety (surgeon general-equivalent).